The first cake recipe that I am going to post is the first one I ever learnt how to bake. It is the most simplest recipe and perfect for the first time baker. This is my mothers standard recipe and the start for many different types of cakes. Any other flavouring can be added to this e.g. chocolate. I am also going to dedicate this to one of my favourite Somali friends - you know who you are. This friend of mine needed a lot of convincing when told that homemade was better than anything bought from the shops. She finally gave in and this was the first cake that she ever made. So this is for you! I made this recipe by hand but you can also use an electric mixer. I just wanted to show you guys how easy it is by hand - you don't need any fancy gadgets. Preheat your oven to Gas Mark 4 or 180C. It's very important to do this at the beginning because this ensures that your oven is nice and hot when the cake goes in. The first ingredient is 6 ounces (170 grams) Butter or Margerine and it needs to be at room temperature. If it has been kept in the fridge like mine, put into the microwave for 30 seconds and that should soften it up. The next ingredient is 6 ounces (170 grams) Caster Sugar. Put both the butter and sugar into a large mixing bowl. Beat the butter and sugar with a whisk until light and fluffy. Crack one of the eggs into a separate bowl. I do this so that just in case any egg shell remains behind, I can take it out. Add the egg to the mixture and whisk it in. Crack the remaining two eggs in the separate bowl. Add the eggs to the mixture and whisk them in. ﻿This is how the mixture should look after the eggs have been whisked in. The next ingredient is vanilla flavouring. This is available in most supermarkets in the baking section. Do not use vanilla extract because it contains alcohol. Add 2 teaspoons Vanilla Flavouring to the mixture, and whisk in. Weigh out 8 ounces (226 grams) Self-Raising Flour. Add the flour to the mixture and stir in. Be careful not to over beat it. Just mix it in enough so that the flour is well incorporated. This is how the mixture should look at the end. Make sure that all the flour is mixed in and there are no lumps of flour anywhere. Because this cake is a sandwich cake, I used 2 cake sandwich tins. If you don't have these, you can use a normal cake tin and cut the cake in half when it's baked. Here, with the tins, I have baking paper and some oil spray which is available in supermarkets. Before putting the batter into the tins, you must grease the tin. This means putting a little oil, oil spray or even a bit of butter, and just wiping that around the whole tin with a tissue. This is how I have always done it and this ensures the cake comes out of the tin easily when it's baked. Make sure you do this otherwise your cake will get stuck in the tin! After greasing the tin, cut out rounds of baking paper in the same shape as the tin and put those into the tin. Divide the cake batter between the two cake tins, and spread evenly. Put the cakes into the preheated oven at Gas Mark 4 (180C) and bake for 20 minutes. And this is how the cakes should look once out of the oven. They should be golden brown on the top and if you still aren't sure whether they are cooked or not, take a bread knife or a skewer and put it into the middle of the cake. If the knife or skewer comes out clean, with no wet batter on it, then it's baked!! Turn the cakes out onto a cooling rack and peel off the baking paper. Allow both cakes to completely cool. Take 3 tablespoons Strawberry Jam. Heat the jam in the microwave for 30 seconds until it's runny. Place one of the cakes onto a stand or a large plate and spread the jam over it until it evenly covers it. Place the second cake on top of the jam and press down. This is a Victoria sandwich!! Dust the top with icing sugar, if you want and get ready to cut. Well, here we are!! This recipe was for Kauthar. I'm just upset that you couldn't be here with me to have a slice! 1. Preheat the oven to Gas Mark 4. 2. Grease and line two sandwich cake tins. 3. Place the butter and sugar into a mixing bowl. 4. Beat them well until creamy. 5. Add the eggs one at a time, whisking well after each egg. 6. Whisk in the vanilla flavouring. 7. Finally, add the flour, and fold in until just combined. 8. Divide the batter between the prepared tins, and bake in the oven at Gas Mark 4 for 20 minutes. 9. Allow the cakes to cool, and then remove from the tin. 10. Once the cakes are completely cool, heat the jam in the microwave for 30 seconds until runny. 11. Sandwich the cakes together with the jam, dust with icing sugar, and serve! Salamu alaykum! I've never had Victoria sponge cake before. 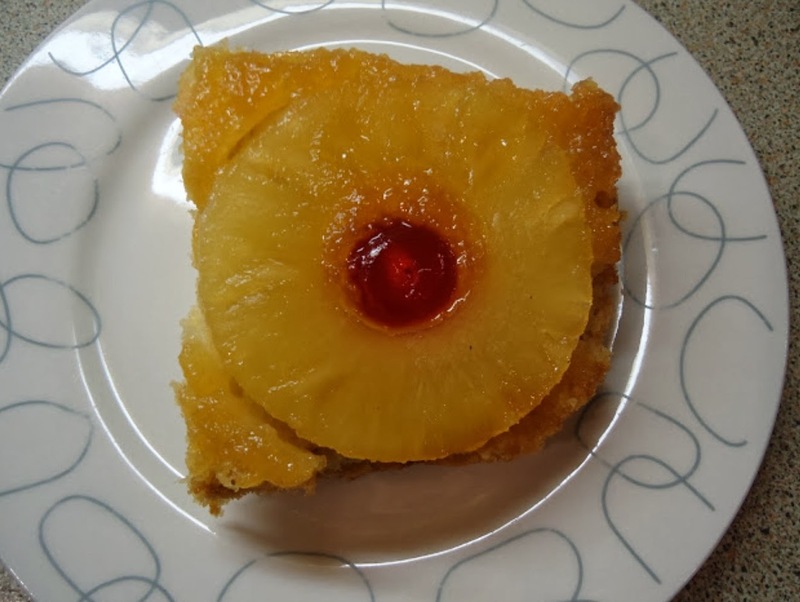 Is it actually spongy like a cake that had the eggs whipped separately? Is it dry or moist? It looks easy to make! Thanks! I'd like to make this for a Muslim family who live on my street as I've just moved in. Can I use any jam and cream or do I need a special sort? Such a lovely idea - any cream or jam should do as they are both usually halal.